Let the Greek cuisine make you forget what "delicious" is and redefine it for you! 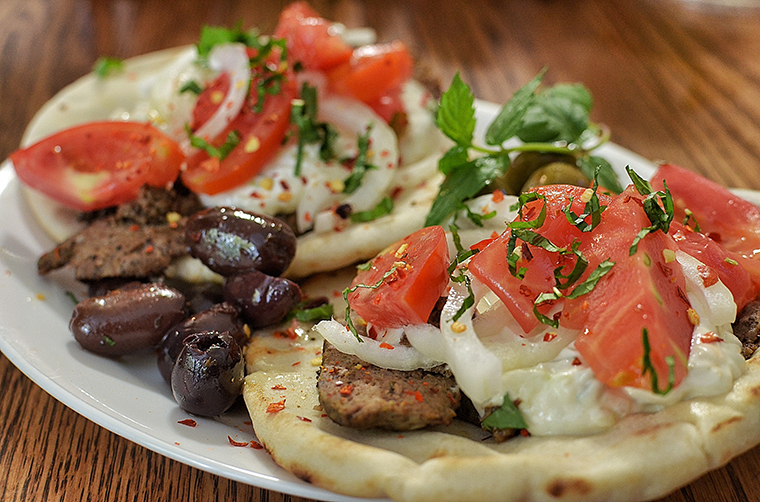 Here are the top three things you must taste when you are in Athens! Mousakka is one of the dishes that has been claimed to be unique for more than one culture’s cuisine. It is possible to come across mousakka served in Turkey and Lebanon for example, as well with Greece. These three, although they have the same name, are pretty different than each other not only in terms of the ingredients used but also the way it is cooked. The one you must try when you are in Athens however guarantees a delicious meal. In Greece, mousakka is prepared with fried eggplants which is put in layers to be filled with meat that is cooked with tomatoes and onion. In some regions, it is usual to include some potatoes between the layers, too. When the layers of vegetables and meat are ready, béchamel sauce is put on the top and the dish is put in the oven to let the sauce grilled. After a few minutes, a mouthwatering plate of food is ready for you to enjoy. You don’t have to do much if you would like to try mousakka in Athens since almost all the taverns include the dish in their daily menu. Tzatziki is usually referred as a dip by most of the Western cultures however it is actually a side dish in Athens. You are not expected to just have tzatziki during your lunch and feel full; it is the best when it is served as a side dish for a main course meal. Tzatziki is based on the famous yoghurt that cannot be shared neither by Greeks nor Turks (which is only different in density; the Greek yoghurt is thicker than the one consumed in Turkey.) Yoghurt accompanied by garlic and cucumbers creates a refreshing taste and you cannot help eating more and more. You cannot afford to miss the chance to be introduced with the real Greek Salad when you are in Athens. You have probably tried it a lot of times in different parts of the world, however the freshness of the ingredients accompanied by the real Greek cheese is something you are going to taste for the very first time in Athens. A Greek Salad may not come in a full portion since it is common for Greek people to eat the salad as a side dish for their main course. If you want to have the salad as a meal, let the waiter or waitress know about that, then you’ll be served a dish size. Greek is one of the countries that is proud to have a national drink and it has every right to be so with being the home to the delicious Ouzo. Ouzo is an anise flavored alcoholic drink that contains 37% to 44% alcohol. Because of the high percentage of the alcohol in Ouzo, the first timers must be extremely careful about the amount they consume. Ouzo is usually enjoyed with water that is mixed with the ouzo itself with a certain amount. It is also possible to come across Greek people consume it without the water since they are used to consume ouzo and enjoy the taste of the drink better. Ouzo is not a bar drink; it is not common for people to go pubs and order ouzo since drinking ouzo has a style on its own. Ouzo is usually accompanied by appetizers, which are called mezes. These dishes that come in small portions are usually side dishes that are cooked with olive oil, or sea food. It is also common to eat a slice of Greek cheese when drinking Ouzo. Don’t rush yourself when you are trying ouzo; it is rather a form of relaxation in Greek and it is better if you enjoy with all the mezes. The tavern style restaurants are abundant in in Athens, you can try both the mezes and ouzo in one of them.